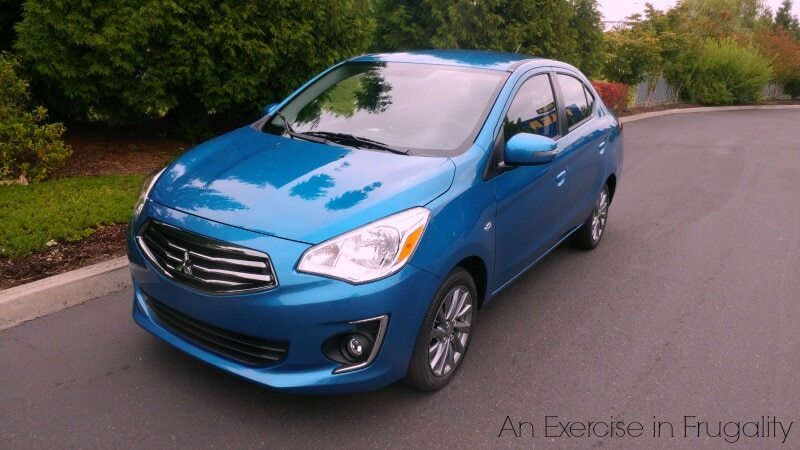 This past week, we got to test drive the new 2017 Mitsubishi Mirage G4 SE. I have never driven a Mirage before, but I have seen lots of them. The hatch back style was never one I was really drawn to, but the G4 version is new for 2017 and has a slightly different body style that now has a trunk and I think its so cute and compact. Let me start off by saying I was unsure about this car at first. When it was delivered, I was told it had only 3 cylinders and immediately I started to wonder how it would handle the steep mountain roads around my home. First of all, of all the cars I have ever driven, the Mirage gets the most gas mileage. I averaged almost 42 miles per gallon driving back from Portland (highway). According to the EPA this car averages 42 highway miles per gallon and 35 city. I have never seen a car actually get exactly the mileage stated from the fuel economy report. Usually its a bit less due to non-perfect conditions so needless to say I was impressed. 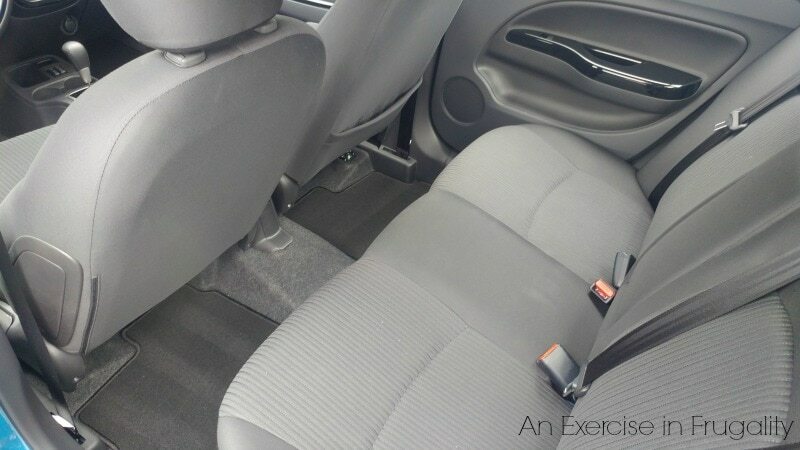 Aside from the amazing gas mileage, the Mirage G4 has an unexpected amount of trunk space. 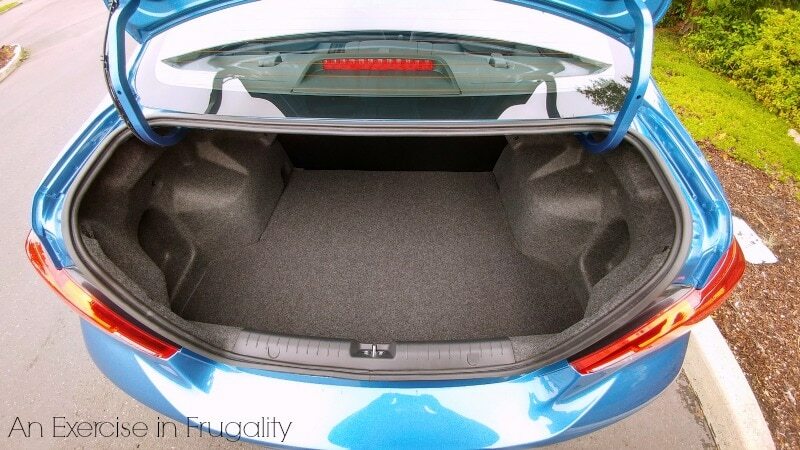 Surprisingly, you can fit a lotta junk in this trunk! Can we talk warranties? The Mitsubishi warranties are really outstanding. 10 year/100,000 mile powertrain warranty, 7 year/100,000 mile anti-corrosion/perforation, 5 year/60,000 mile new vehicle limited warranty AND 5 year/unlimited mile roadside assistance. Put together that is some major piece of mind. The Mirage is a solid car with minimal frills, but the features and price point make it perfect for a first car or a frugal commuting choice. With the excellent safety features, solid warranties, above average fuel economy(rated 8 out of 10 by the EPA for fuel economy and greenhouse gas emissions) and affordable pricing, its a very economical choice. 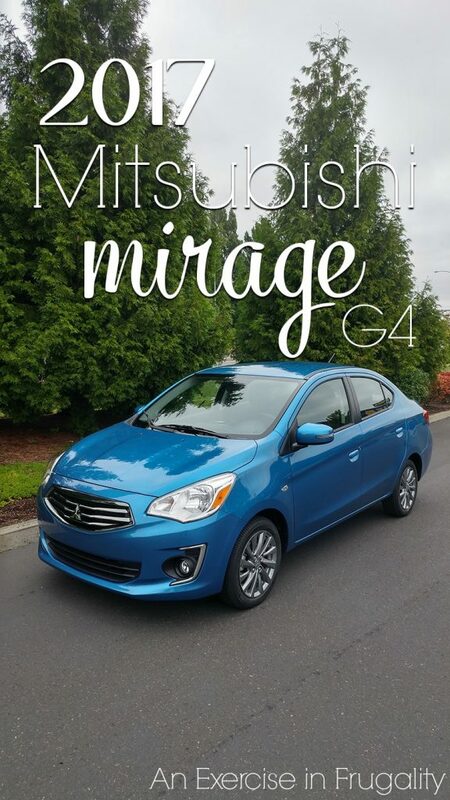 Prices for the Mirage G4 start at $16,995 and the fully-loaded model I drove was priced at $17,830. 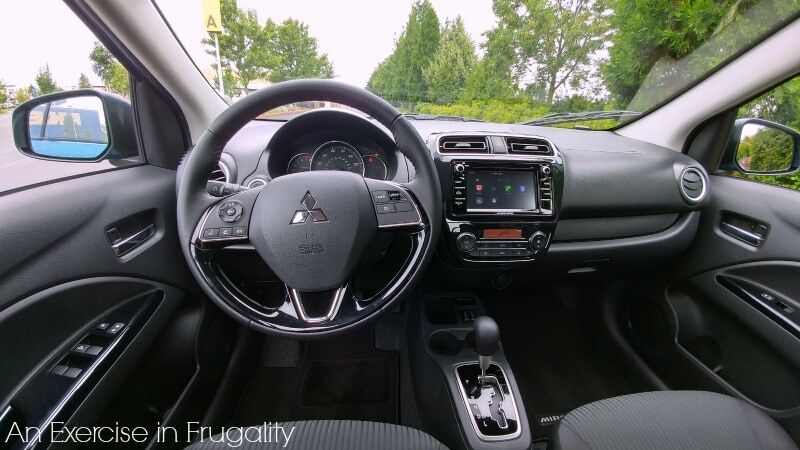 After having driven the Mitsubishi Mirage G4 I am convinced that it is a fantastic frugal choice for anyone looking for a dependable vehicle who doesn’t need or want all the over-the-top gadgets. I think its the perfect choice for your college-bound freshman, young family or anyone looking for a budget-friendly-yet-reliable car. 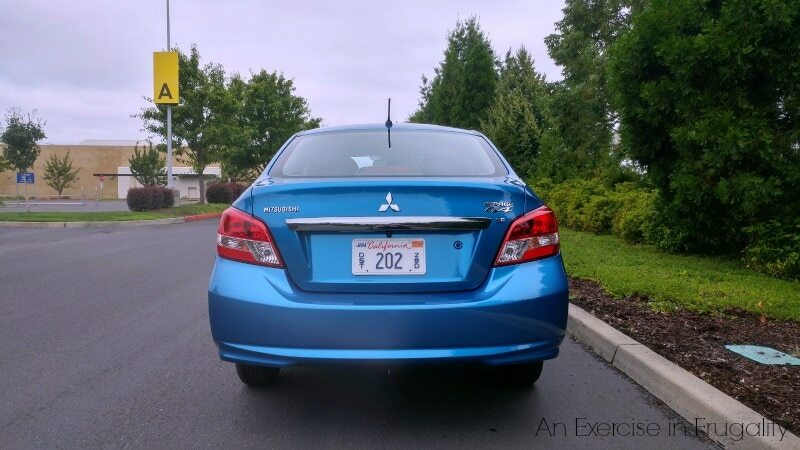 If you’re interested in other Mitsubishi vehicles, make sure you check out my 2016 Mitsubishi Lancer SEL review as well! 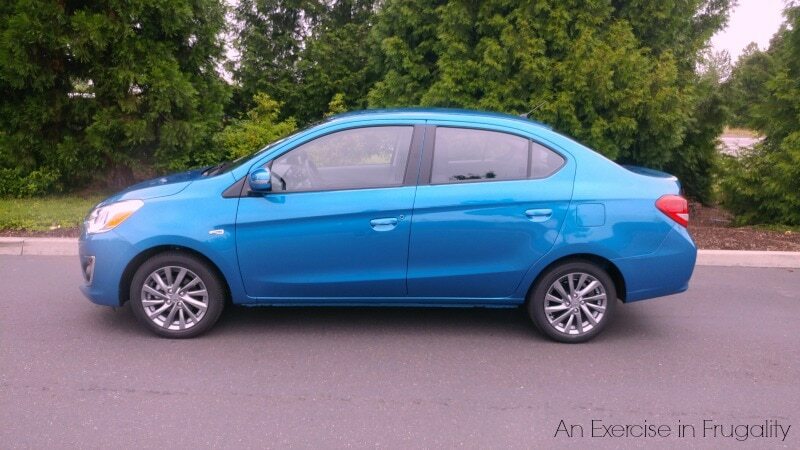 What do you think of the 2017 Mitsubishi Mirage G4 SE? Oh it’s actually pretty darn cute. I am surprised. I love the big trunk.